Spring's here! A great time for some great reads! Get ready to load up that Kindle! * My book, Lizzie Borden, Zombie Hunter is on sale, too! 21 chilling horror tales by The Ailes Brothers of Terror featuring killer dolls, a real zombie outbreak during a zombie convention, a catfurnado, an alien invasion, misfortune cookies, demons, mega sinkholes, drones, executioners and more. The nightmare doesn't stop when the Ailes Brothers take you on a thrill ride of terror. New 2nd edition & New Cover! One hot August morning in 1892, Lizzie Borden picked up an axe and murdered her father and stepmother. Newspapers claim she did it for the oldest of reasons: family conflicts, jealousy and greed. But what if her parents were already dead? 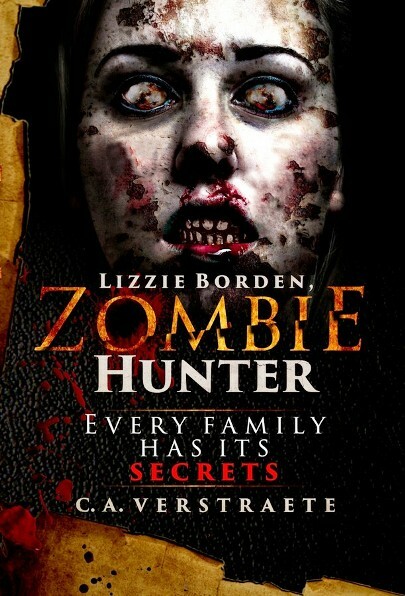 What if Lizzie slaughtered them because they’d become… zombies? Dr. Ramsey has spent months studying the virus spreading across the south that turns the healthy into raging, cannibalistic versions of their former selves. Before he disappears, he gives his daughter Alexandra what may be the most valuable information in existence—information that more than one powerful group will do anything to posses. Twisted tales of the macabre from 12 horror authors. Demons, vampires, darkness, unspeakable horrors, ghosts, and more. Collection of stories based on 48 hours of the outbreak in Romero's landmark 1968 movie! Includes stories by: Brian Keene, Carrie Ryan, Chuck Wendig, Craig Engler, David J. Schow, David Wellington, Issac Marion, Jay Bonansinga, Joe R. Lansdale, John Russo, John Skipp, Keith R.A. DeCandido, Max Brallier, Mike Carey, Mira Grant, Neal Shusterman & Brandon Shusterman, and Ryan Brown. Plus original stories by Romero and Maberry! 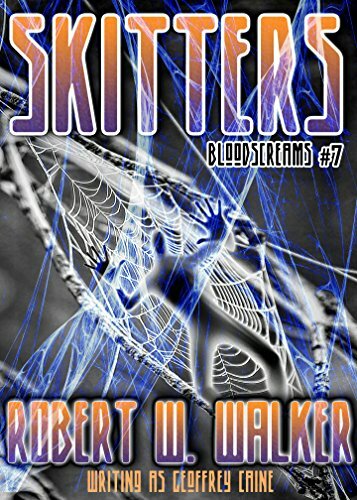 Skitters: Archaelogy vs. Supernatural - Bloodscreams #7, Robert W. Walker (Wow, this is Rob's 68th book at age 68!) - Spiders consume 400 million tons of prey every year, so when Abraham Stroud, archaeologist and vampire slayer, who has had run-ins with werewolves, zombies, and other fantastic creatures uncovers a coven of ancient spider men, a race that has visited Earth before, found in Northwest Georgia living in caves and tunnels, he must act. The predatory race first seen in ancient Japan and Japan, were wiped out, but persistent as any arachnid, they have returned, and Stroud, who knows no fear, goes after this horrid race that mimics mankind and is working toward fitting in with us while they feed on us. Stroud goes in with mercenaries and powerful weapons, but the Tsuchimugo, as the Japanese called them, are a vicious and evil lot, clever and cunning, and their webs are powerful. At first glance, Phil and Adam look like an ordinary father and son-- except no one knows that Phil is a prisoner, and up until a few weeks ago and a chance encounter at the grocery store, he'd never seen the child before in his life.